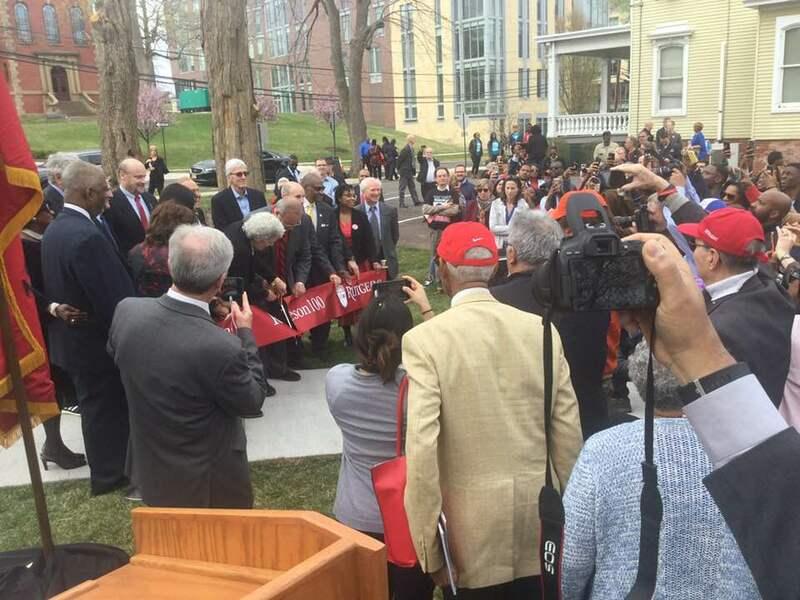 Rutgers University today dedicated a new plaza in downtown New Brunswick in honor of Paul Robeson. The famed former Princeton resident graduated from Rutgers as class valedictorian 100 years ago, in 1919. He became internationally famous as a singer, actor, and activist for social justice, before his career was cut short by harassment from government agencies. 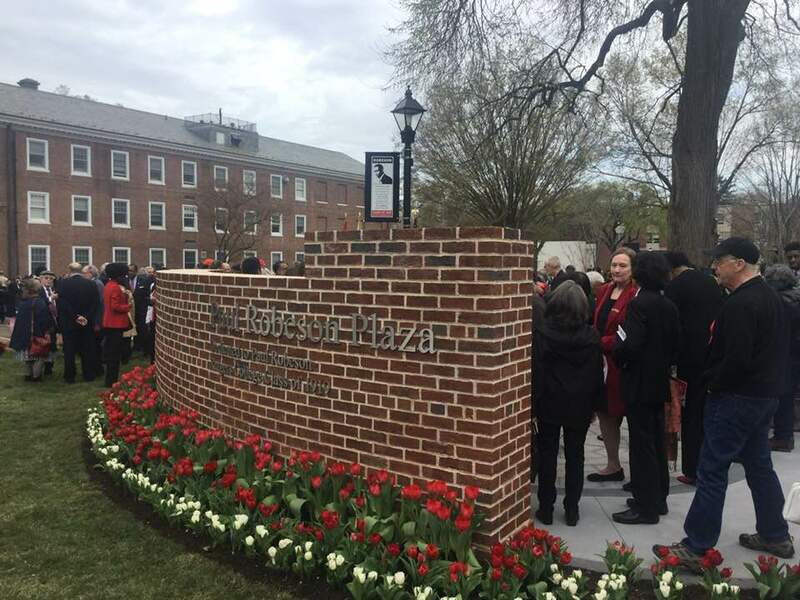 The construction of ‘Robeson Plaza’ was enabled by a gift of the Rutgers Class of 1971 and the work of the Rutgers African-American Alumni Alliance. The new plaza is on the Vorhees Mall, the most historic part of the Rutgers New Brunswick campus. It features illustrations of the various activities in which Paul Robeson excelled, as an athlete, scholar, athlete, singer, and activist. 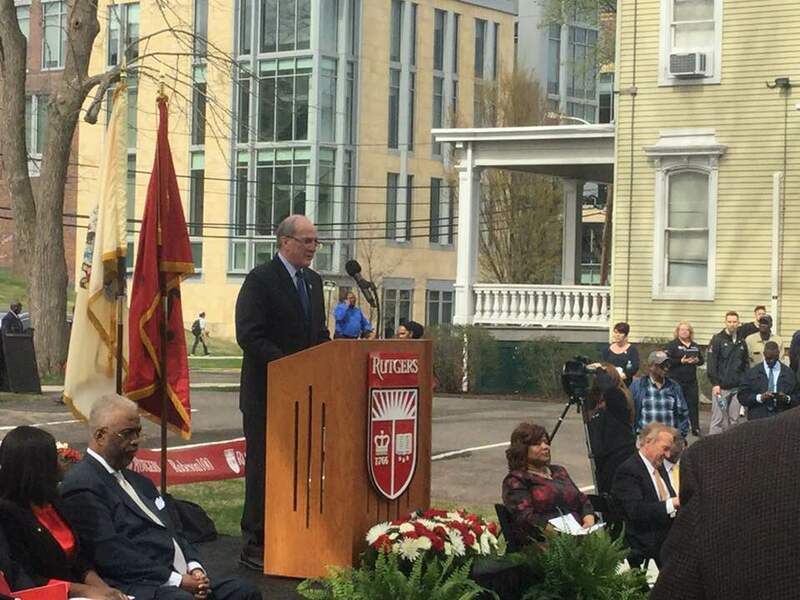 In dedicating the plaza, Rutgers University President Robert Barchi admitted that the University had not always done enough in the past to encourage minority students, and promised “our commitment to inclusion is part of his [Robeson’s] legacy”. 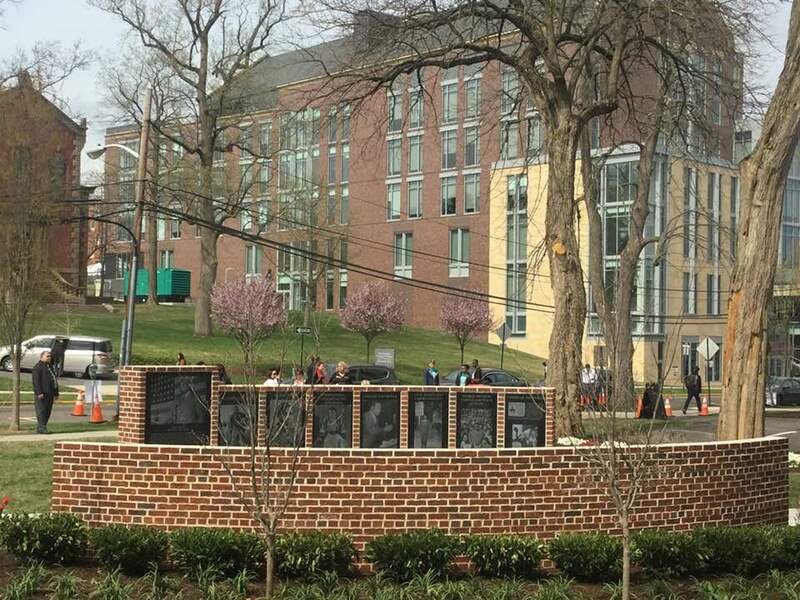 New Brunswick Mayor James Cahill told the assembled crowd of over 500 students and faculty that the city is planning to add a statue of Robeson to a park next to local elementary school, the Paul Robeson Community School For the Arts. One of the major thoroughfares in New Brunswick, Commercial Avenue, is also being re-named as ‘Paul Robeson Boulevard’. Susan Robeson, the granddaughter of Paul Robeson, subsequently cut the ribbon to open the new plaza. Paul Robeson Plaza is located on Seminary Place in downtown New Brunswick near the intersection with College Avenue. The centenary celebrations of Paul Robeson’s graduation will continue through the rest of 2019, and a full list of activities to commemorate his life can be found at this link. This entry was posted in Local, People, Placemaking and tagged New Brunswick, paul robeson, Placemaking, Princeton. Bookmark the permalink.